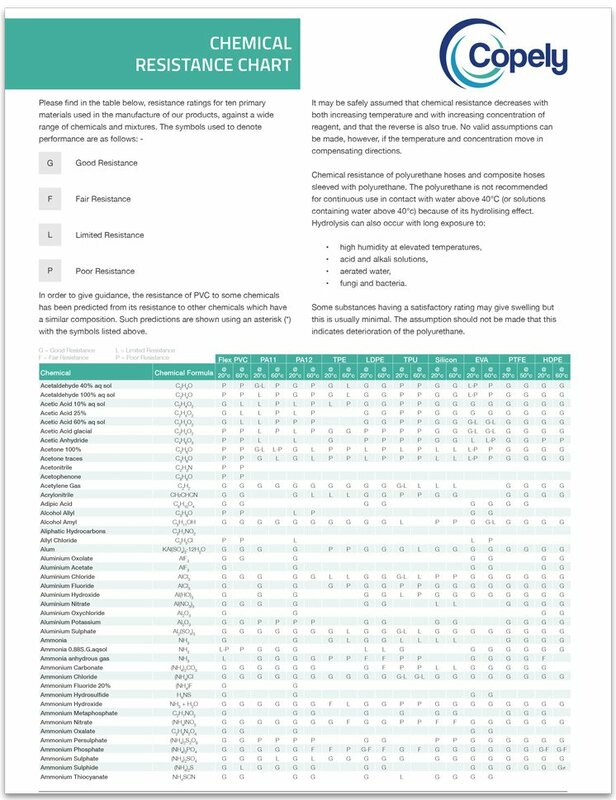 Click the icon below to download our Chemical Resistance Chart (9.5MB). Redeveloped for 2017, our extensive chemical resistance chart, for now, features 10 different polymers rated from ‘Good’ to ‘Poor’ against more than 600 chemicals and substances, at different temperatures. We hope this useful tool helps you find the right material for your application.